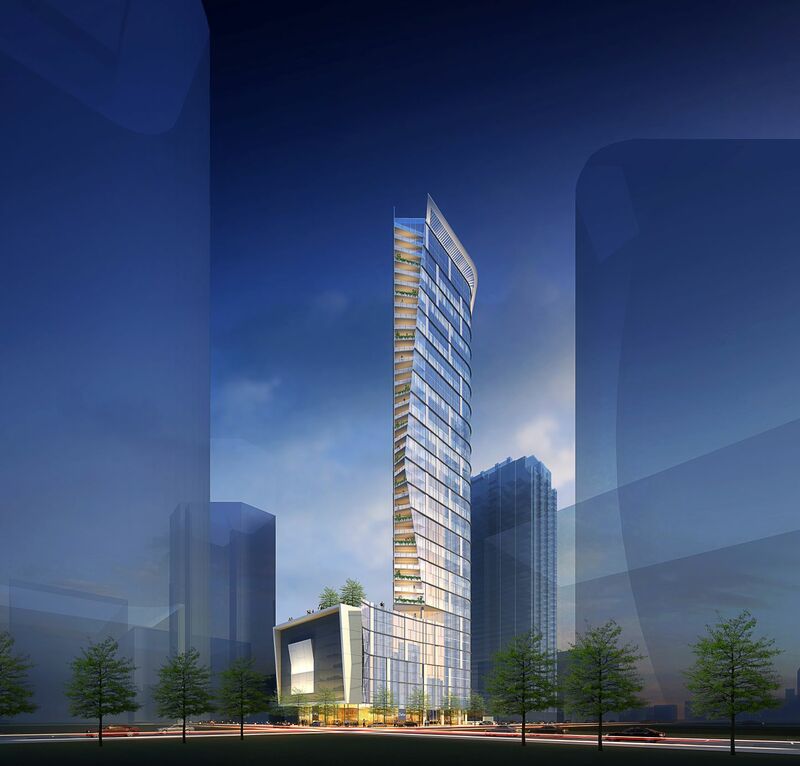 Hines breaks ground in March on 46-story residential tower in downtown Houston. Architecture: Muniz + Albin. HOUSTON – (Realty News Report) – Hines will break ground in March on a 46-story residential tower, which will be the tallest apartment tower in downtown Houston. The development, called The Preston, is being developed with investment partners, Cresset Wealth Advisors and Levy Family Partners. The 373-unit project – completion is slated for the third quarter of 2022 – is designed by Munoz + Albin. The tower will be built at Preston and Milam streets on the site of the former Houston Chronicle parking garage in downtown. 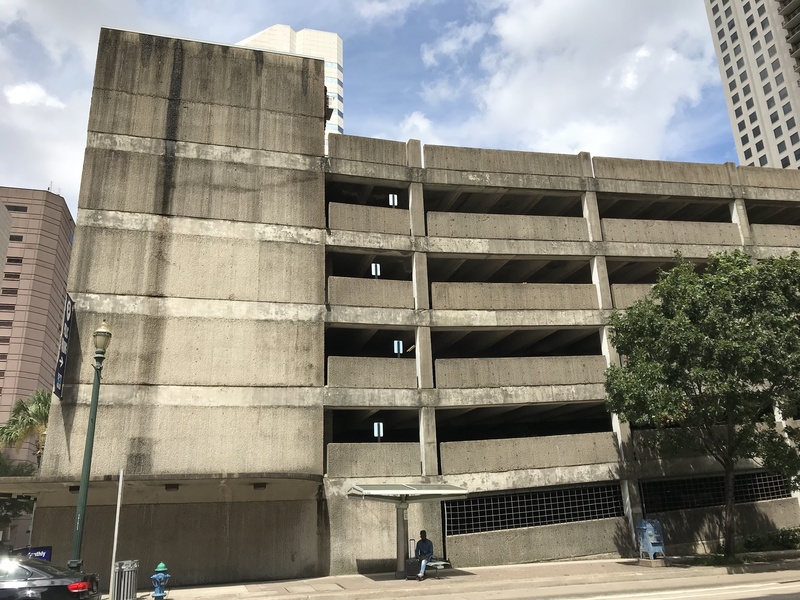 The old parking garage covers a half-block (about three-fourths of an acre) bounded by Preston, Milam & Prairie streets on Block 42. The Preston tower will be adjacent to Market Square Park and the landmarked Hogg Palace residential building, which was redeveloped into a loft project by Randall Davis decades ago as an early entrant into the loft movement. Hines’ development team for the Preston includes Mayfield and Ragni Studio (MaRS), interior architect; TBG, landscape architect; and Harvey Builders, general contractor. Hines’ investment partners – Cresset Wealth Advisors and Levy Family Partners – are Chicago-based real estate investment firms managing family office capital. Executive team members are Eric Becker, Avy Stein, Larry Levy, Jeffrey Cherner and Michael Miller. Catty-cornered from the Preston apartment site, Hines, in partnership with Ivanhoe Cambridge, is developing another major project: a 47-story office building on the site of the former Houston Chronicle building, 801 Texas. A Hines-led group bought the full-block Chronicle building and nearby garage on a half-block in 2015. The newspaper relocated its operations to the former Houston Post property on the Southwest Freeway, near Loop 610. The new Hines tower will be across the street from Woodbranch Investments’ 40-story Market Square Tower, which has a notable glass-bottomed swimming pool that extends ten feet over the roof of the building. Hines is also developing a high-rise apartment tower on Montrose Boulevard, just south of Westheimer Road. The Preston apartments will be located close, a block or two, from the Theater District. The apartment property will have a pet spa; bike shop and 6,800 SF of street-level retail and restaurants onsite. The new building’s 10 penthouse residences, on levels 44 and 45, will range in size from 1,739 to 2,927 SF with large outdoor living rooms, freestanding bathtubs and top-quality finishes rivaling upscale condominium residences. Select penthouses will feature outdoor kitchens with gas grills and refrigerators, and contemporary indoor fireplaces.